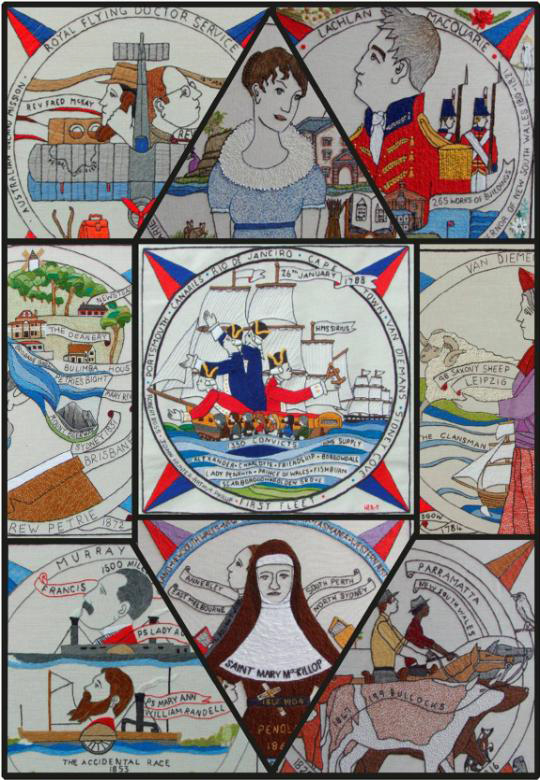 The Scottish Diaspora Tapestry is made up of over 305 panels which was stitched by people from 25 countries. It is an artistic celebration of the influence of the Scots and their culture around the world. It is now on a world tour. The tapestry can be previewed on Saturday 13th June, 2015, 1pm - 4pm, Scottish House 62 Railway Pde, Granville, 2142. The cost is Members $7pp Non members $10pp (incl afternoon tea). Book using this form.